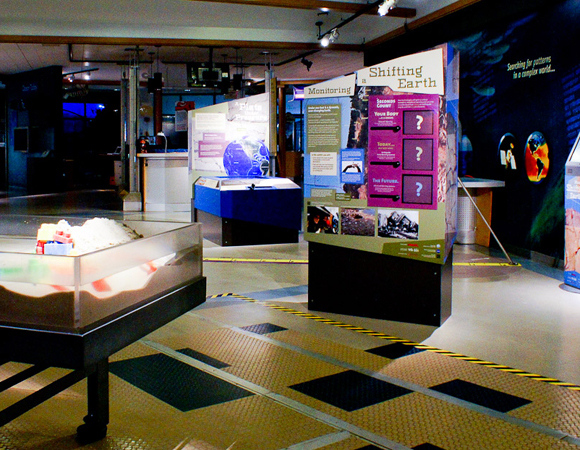 Monitoring a Shifting Earth is a new science exhibit on display at Oregon State University's Hatfield Marine Science Visitor Center (HMSC), a Sea Grant Institution in Newport, Oregon. UNAVCO Science Education Specialist Shelley Olds worked with Bob Butler from the University of Portland and Bob Lillie and Nancee Hunter from Oregon State University to develop this exhibit, focused on the geohazards of the Pacific Northwest and how GPS plays a role in their mitigation. 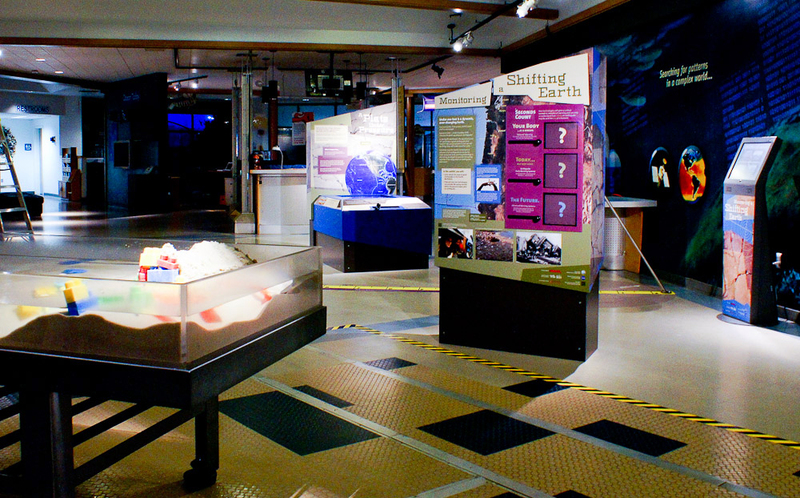 UNAVCO designed the hands-on exhibit to reach a broad audience, including students on field trips and after-school programs, families, and senior groups. 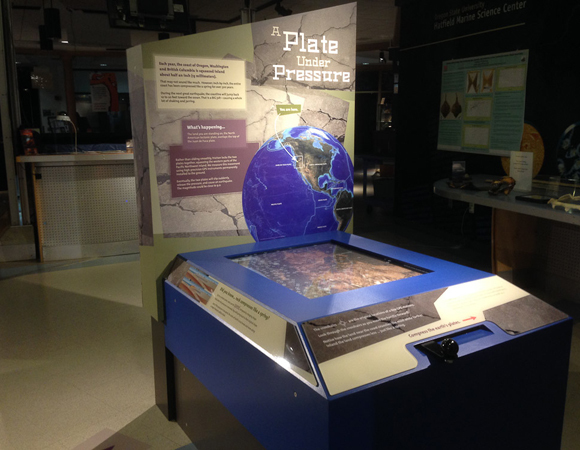 Museum visitors explore and learn about basic plate tectonics concepts and natural hazards relevant to the Pacific Northwest, how the GPS in a smartphone compares to a high-precision GPS receiver used by the EarthScope Plate Boundary Observatory, and how land near the coastline is being squeezed inland and building potential energy that could be released as an earthquake, resulting in strong ground shaking and tsunamis. 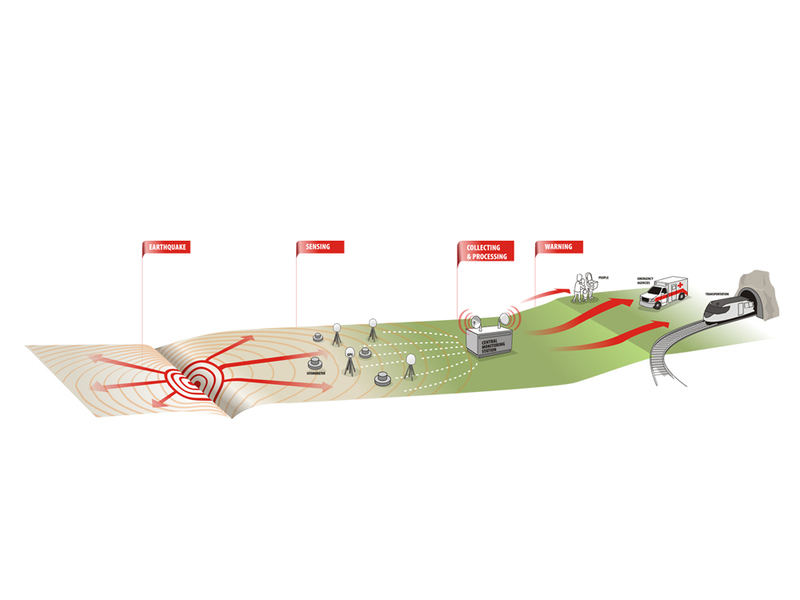 Additionally, visitors learn about the role that the upgraded PBO GPS network is expected to play in hazard mitigation with a combined real-time GPS and seismometer earthquake early warning system. 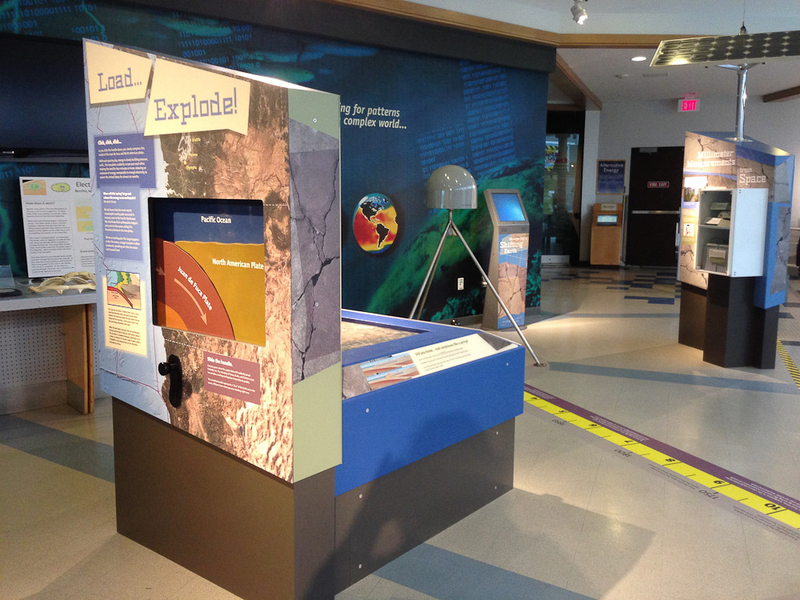 HMSC is an ideal location for a geohazard exhibit focused on both raising earthquake and tsunami awareness and providing guidance on what to do if an earthquake occurs. 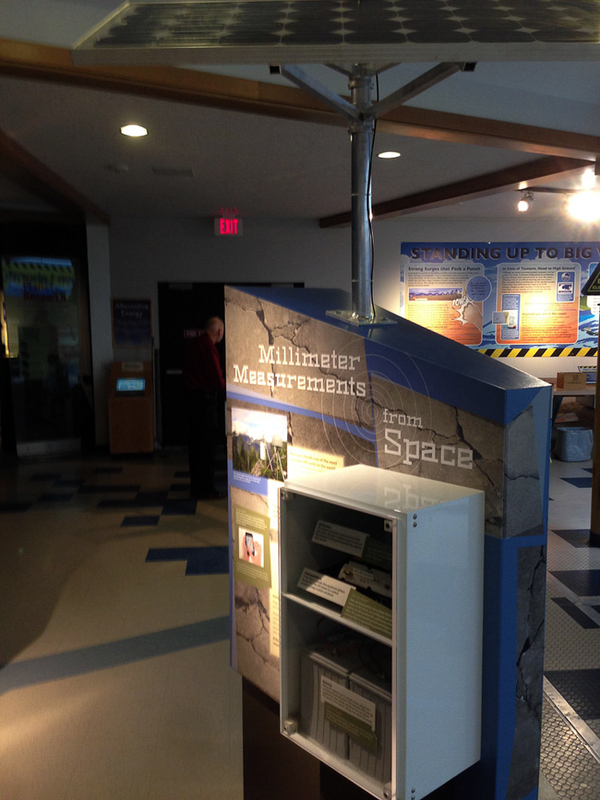 The Visitors Center receives over 150,000 visitors a year. 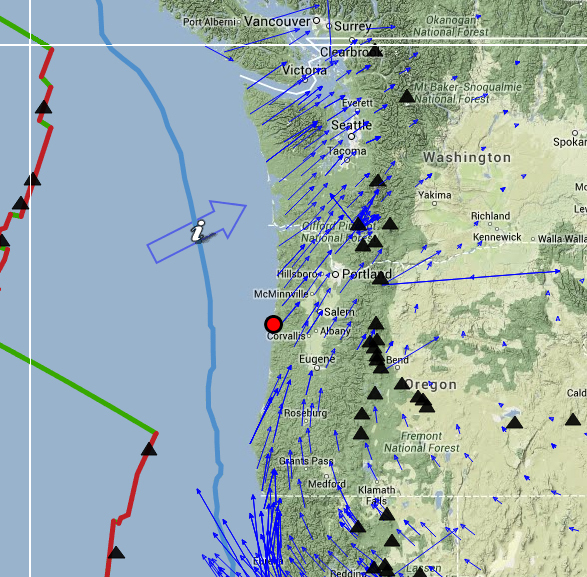 It is located on the Yaquina Bay less than a mile from the Pacific Ocean and is a mere few feet above sea level. This places the museum and its visitors in the tsunami inundation zone. 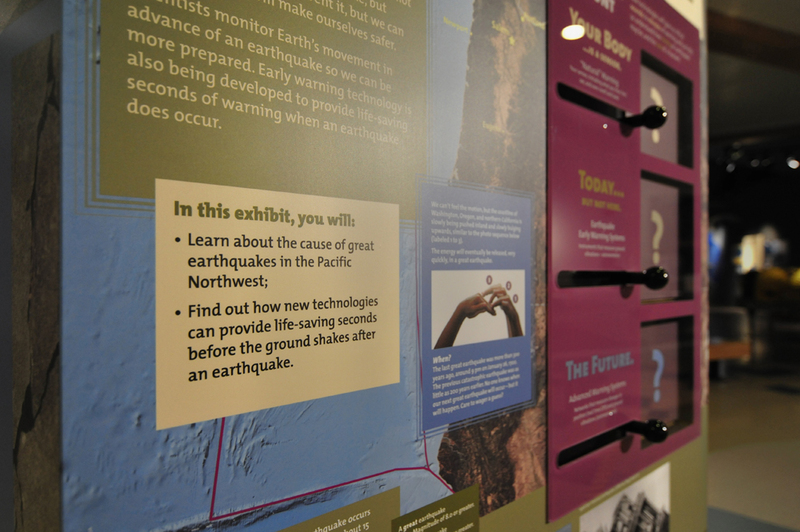 Multiple exhibits throughout the Visitor Center already allow visitors to explore tsunami mechanics, observe tsunami inundation zones along the coast of Oregon, and study the evacuation routes to higher ground if a subduction earthquake were to occur. 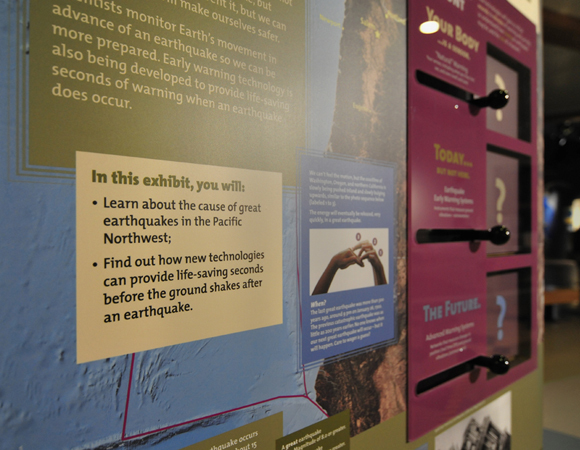 The UNAVCO Monitoring a Shifting Earth exhibit complements these exhibits by offering a regional perspective on the processes responsible for earthquakes and tsunamis in the Pacific Northwest. 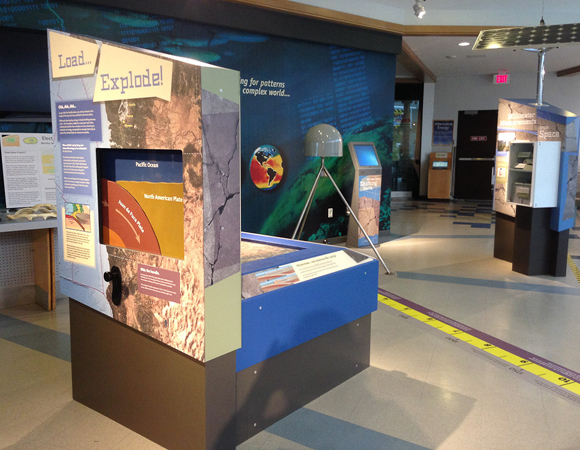 The HMSC Visitor Center is also a working learning research lab with automated recording systems to research how visitors use exhibits. 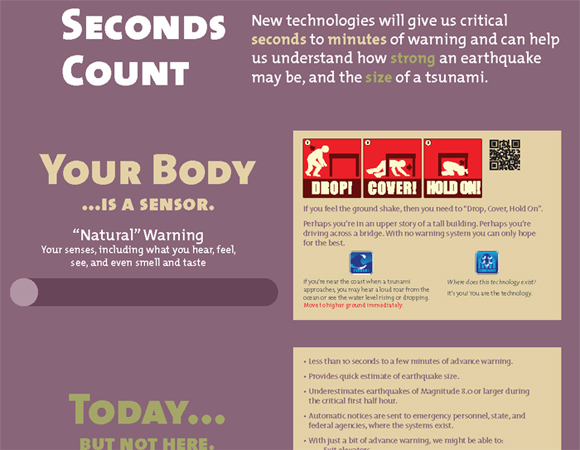 This data will help to improve this exhibit for future installations. 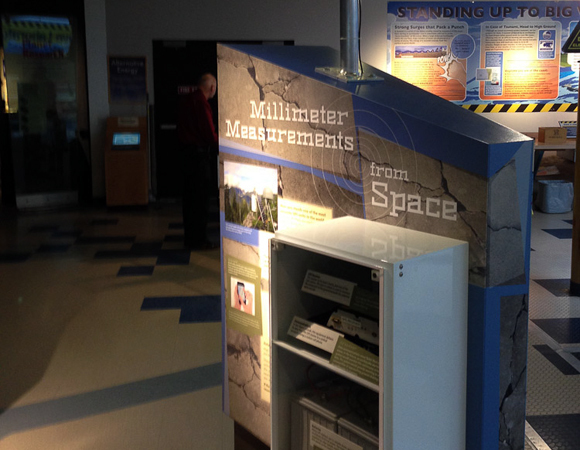 The exhibit helps to highlight the potential of the EarthScope Plate Boundary Observatory network in the Pacific Northwest with its upgraded real-time data streaming capabilities. 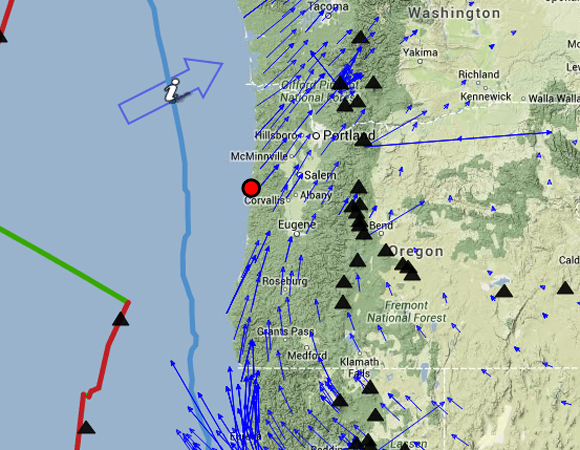 The initial project to upgrade the Cascadia portion of the EarthScope PBO Network was funded by a National Science Foundation American Recovery and Reinvestment Act (ARRA) grant. 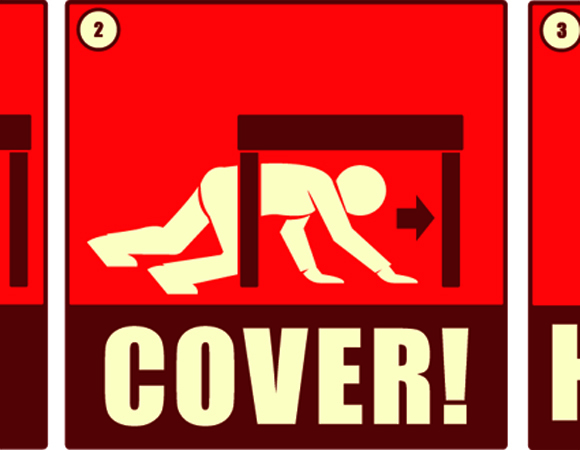 The project was highlighted in the 100 Recovery Act Projects that are Changing America report, as #65: "Research to Avert Disaster: Understanding Earthquakes in the Pacific Northwest - Oregon, Washington, Northern California." 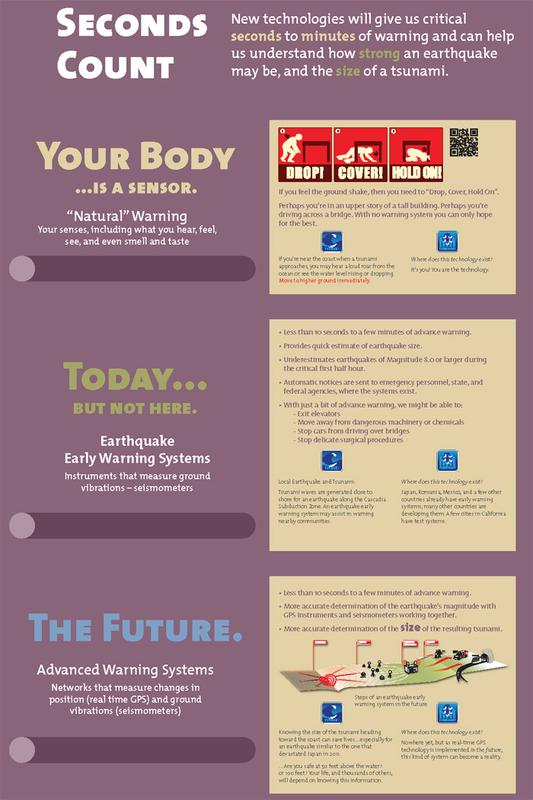 The EarthScope Project was subsequently listed as the Number One project in Popular Science’s "Big Science: The Universe's Ten Most Epic Projects." Museum visitors learn how this project lays the foundation for research and development of an earthquake early warning system that can more accurately and quickly determine the magnitude of a great earthquake and the size of the resulting tsunami. 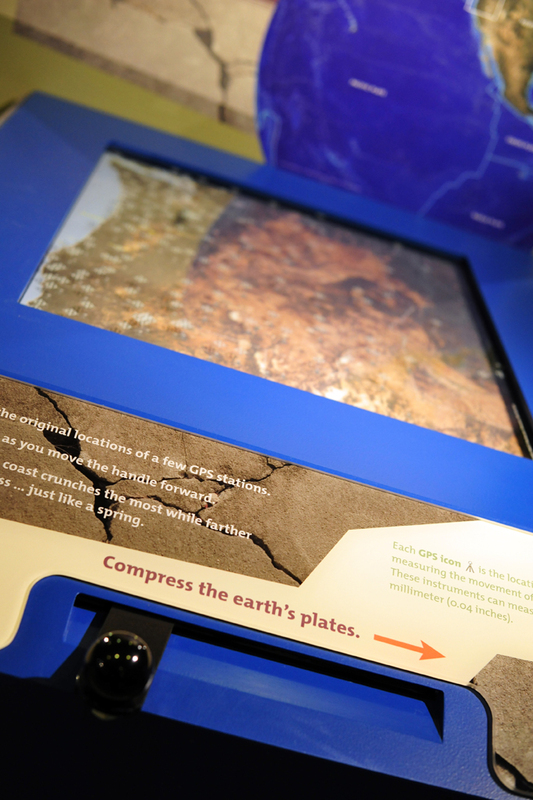 In this era of science museums moving toward the use of touchscreen displays, the designers deliberately chose to create physical hands-on models for many of the exhibit elements to provide a connection from the abstract depiction of vector data to the physical motion of the land. 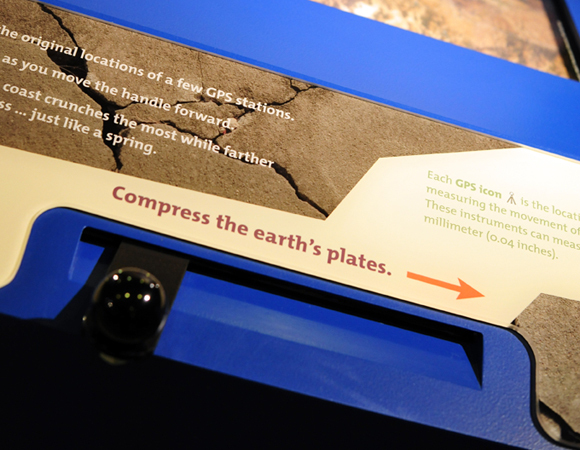 The technology of a high-precision GPS station is displayed and connected to exhibit elements that show the movement of the land over time and how different areas of the region are moving at different speeds. 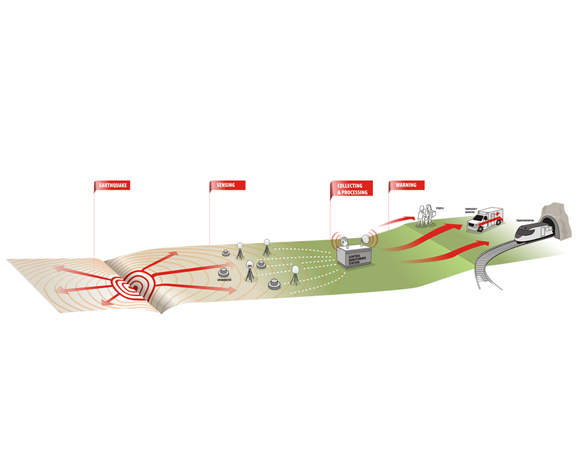 To our knowledge, this integration of GPS data with hands-on interactive models has not been done before now and may serve as a prototype for future museum exhibits.